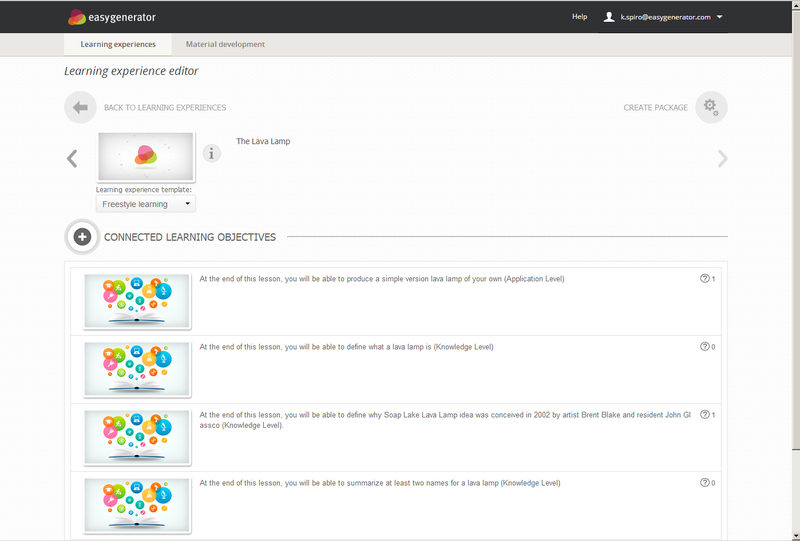 This Wednesday (October 23rd) we will launch a completely new web-based free eLearning authoring tool. This launch will be at the DevLearn conference in Las Vegas. This web edition will be the start of a whole new generation of solutions by easygenerator. We will take all the experience we have built in the past 15 years on eLearning authoring and put it in a brand new product. You can register and start working with this new eLearning software by clicking the link (starting on Wednesday 23rd). In this post I will explain what the product will be about based on the requirements we have set. The world has changed over the past few years. People expect an authoring tool to work not only on a PC, but also on tablets and smartphones. The published content must run on every possible device with any operating system. Ans it does. The new web edition of easygenerator doesn’t require installation of any kind, it runs in any browser. Publications can be used on every device as well and the content will be completely responsive (adapting itself automatically to screen sizes and resolutions). Our mission is to help you to create better eLearning. One of the things that set’s easygenerator apart from all the competition is that we placed Learning Objectives in the heart of the design process. We did that in our windows edition and the web edition is completely build around that approach. You have to create learning objectives. After that you create questions to assess the learner on those objectives and finally you add content to the question to help the learner answer it. That is it. We want users to use easygenerator’s web edition without ant training what so ever. Therefore we gave a lot of attention to the user interface. We hope that that shows.